Last week we were having meeting up at Chalet Chambertin in regards to our new website (launching very soon). I’ve worked for Mountain Mavericks for a year now and I’ve been up to Chambertin many times within that year. However, last Friday it was different. We’d finished the meeting and were stood out the back next to the hot tub, just chatting. We’ve entered inter season so the weather is very changeable at the moment but Friday was a beautiful day. In Morzine, we had had a cold front hit us the few days previous, I’d unpacked my winter clothing and was ready for the cold weather to start coming in. However, on Friday the clouds were starting to lift but still lingering between the trees, the sun was peaking through and warming our faces. It was beautiful, it was the start of a glorious weekend. I’m lucky to call this little slice of heaven my home. It occurred to me that I’ve never appreciated the mountains and scenery surrounding Chambertin. Nestled within Vallee De La Manche, about 3km from the centre of town, the chalet is far enough from the bustle of town to ensure you can relax undisturbed, yet ideally located for access to the Nyon ski lift and no more than a few minutes drive from either Avoriaz or Pleney. 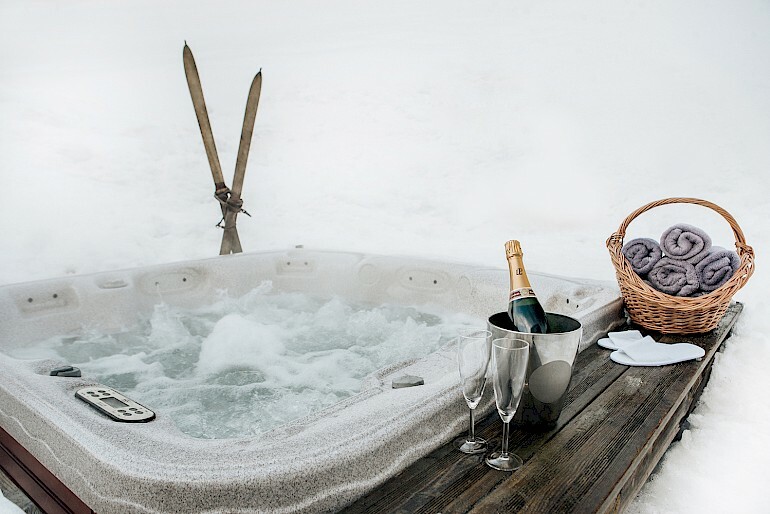 From the decking out the back, it’s magical to sit in the hot tub after a hard days skiing and take in the views of Col de Cou to the left and Nyon to the right. I couldn’t think of a better location in town that I’d rather return too after a hard days skiing. Despite only working for the company for one year, the stories of all the chalet hosts that have worked winter seasons in Chambertin in previously are legendary. Whether they worked a couple of winters or stayed for just the one, I know that they are well valued and have all contributed to the continued success of the 15 years in operation. 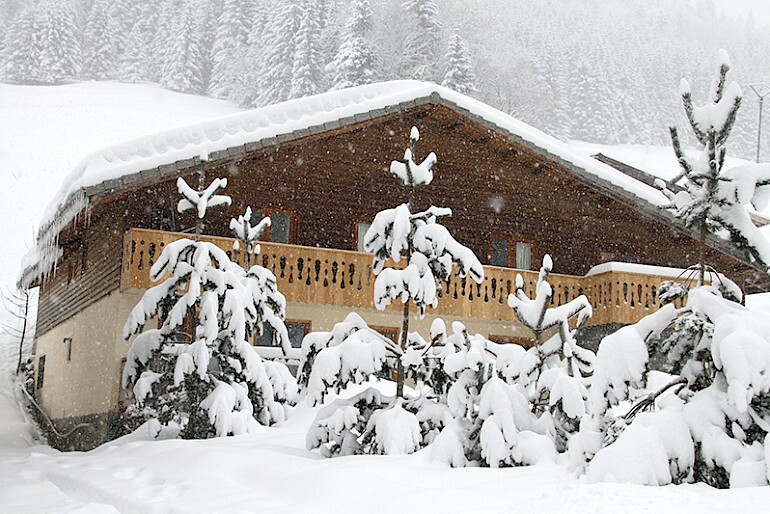 Chambertin is the flagship chalet for Mountain Mavericks and was the first property Olly and Emma acquired when starting their business. After over 15 years in operation, the Lambournes have perfected the art of fine interior, delicious food and an excellent level of service – which they carefully pass onto all their staff at the start of each winter. It’s the finer details that matter and every guest I’ve spoken to who have stayed at Chambertin have always commented on those details. Living in this amazing environment, I’ve learnt to appreciate the little things that this planet has to offer. So standing out the back of Chambertin, watching the clouds roll back through the trees, the faint sound of cow bells in the distance, the noise of the dereche across the road and the smell of fresh mountain air – it had me feeling all kinds of feels. After speaking to guests who stayed in Chambertin last winter, they said the exact same things to me. It’s simply magical up there. If you want a truly alpine experience then Chambertin is the perfect chalet for you, great food, great location, great hosts in a great town. If you’re interested in experiencing a week in our flagship chalet then email thechalet@mountainmavericks.com or book online now!